Leonard Nimoy died this morning at his home in Los Angeles. 68-year-old Allen Zderad's new bionic eye has allowed him to see his wife for the first time in more than a decade. Doctors at the Mayo Clinic in Minnesota implanted the device, which involved inserting 60 electrodes into the retina, allowing images to be transferred directly from the camera to the optic nerve. Not quite the stuff of The Six Million Dollar Man, but it's certainly a huge step forward. When we mechanized time, we also, and completely by accident, mechanized us. And when the clocks got smaller, time could follow us everywhere, a constant reminder of hours, minutes, seconds lost or won. Now we don't eat when we're hungry, we eat when it's time to eat. We don't sleep when we're tired, we sleep when it's time to sleep. We've built an amazing world that runs like clockwork, meaning that these days, so do we. 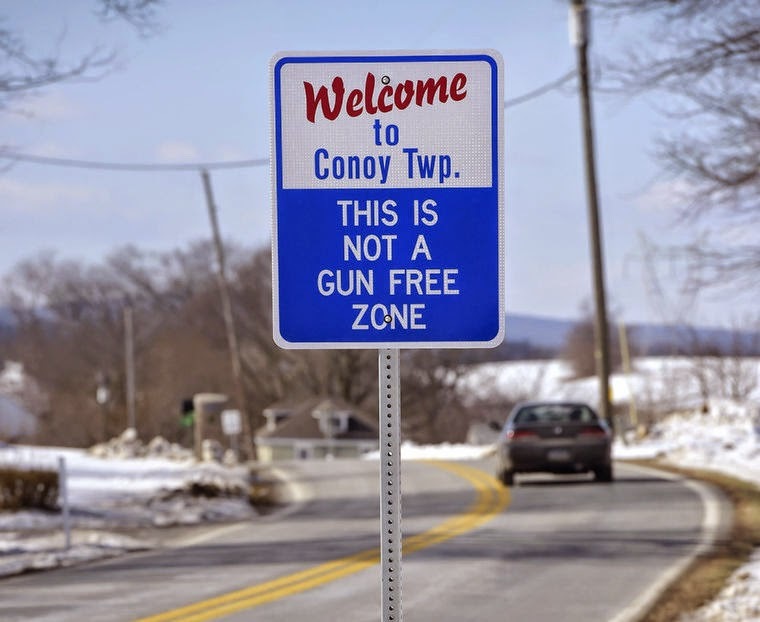 We already know that criminals don't pay attention to signs banning guns. Perhaps they will pay attention to these.